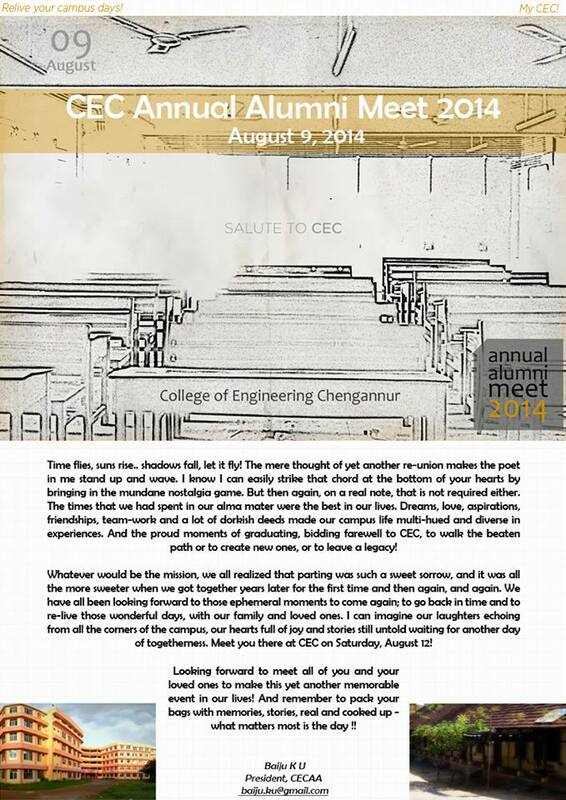 All alumni, students, faculty members and staff of CEC are cordially invited to the CEC Alumni Meet 2014. The event will take place on August 9, 2014 at CEC. 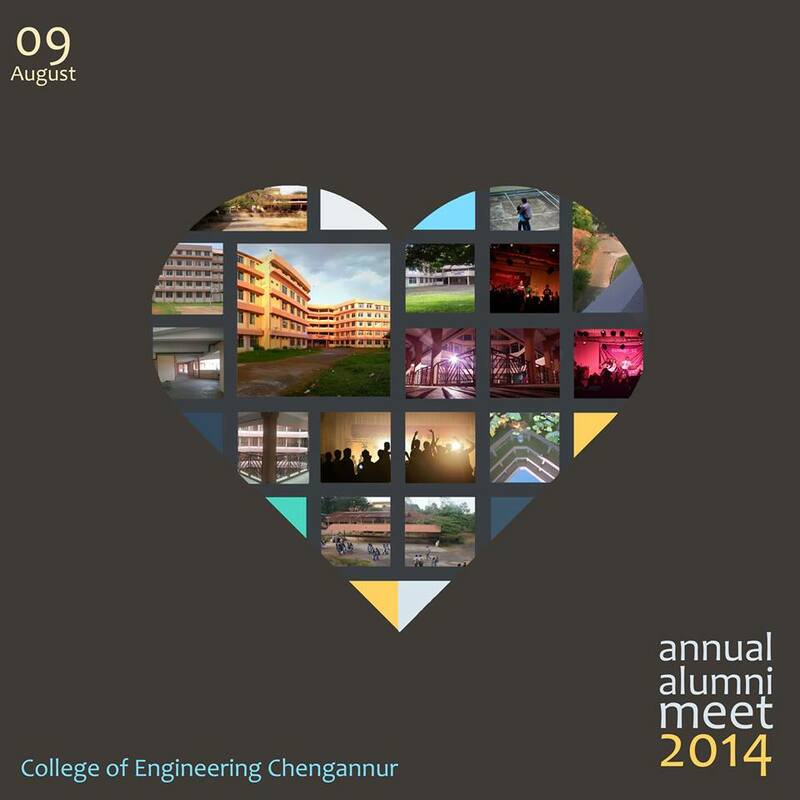 This entry was posted in Alumni or ARC (Alumni Relations Cell), College of Engineering Chengannur and tagged 2014, Alumni Meet, Alumni or ARC (Alumni Relations Cell), Association, Baiju, CEC, CEC Alumni, CEC Alumni Meet, Chengannur, Engineering, President. Bookmark the permalink.